Happy Apple event day! If you have been living in a sensory-deprivation tank for the last 12 months… well, lucky you. Your one mistake was getting out, really. But you may not know that, according to recent leaks, the iPhone 8 will not be priced at close to $1,000! That is because the 8 is not going to be the 8. As it appears, Apple will be skipping the iPhone 7s moniker and calling this year’s iterative release the iPhone 8. 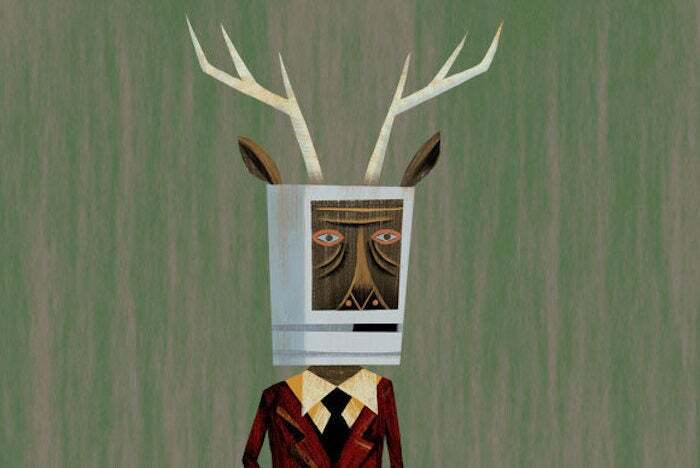 The high-end iPhone everyone’s been tearing their hair out over recent months will be the iPhone X and, no, the Macalope is not offering a pronunciation for that. The iPhone X probably will be priced at around $1,000 which is hugely problematic for Apple because the iPhone 8 (née 7s) does not exist. In what would be the most bizarre trend of 2017 if 2017 weren’t already so 2017, pundits continue to pretend the only phone Apple will introduce at today’s event will start at $1,000. This is, of course, balderdash. Hooey. Codswallop. Flapdoodle. Tommyrot. A veritable piffle full of naught but bunk, poppycock and hokum. That is to say it is wrong. …if the company can’t continue to offer enough value-add features that inspire consumers to pay up for new models in the US or pay up in development markets, the iPhone is at risk of going the way of the PC: down. This comes into focus ahead of the new phone launch, with a rumored price tag of over $1,000. The Macalope realizes we have a real problem with lead in the drinking water in this country, but this is getting ridiculous. iPhone pricing starts at just $399. Yes, that’s for a 32 GB iPhone SE, which is almost a year and half old, but you do not have to pay $1,000 to get an iPhone. Heck, you won’t even have to pay $1,000 to get an iPhone that was introduced in 2017. Sinclair, like so many of her peers, does not mention this anywhere. Well, then it’s a good thing Apple doesn’t sell commodity devices. 2016 was bad for Mac sales, but that’s mostly because the company barely shipped any new Macs for a whole year. Yes, but as the company is also introducing a more iteratively improved phone, there’s really nothing but upside for the company here. People who just want to get a new phone can get an iPhone 8 on their upgrade plan or for the same price as they paid last year. People who want to spend more to get more can get an iPhone X. This is only hard to understand if you deliberately make it hard to understand. If you don’t understand why someone would do that, well, then you don’t have what it takes to be an Apple pundit.